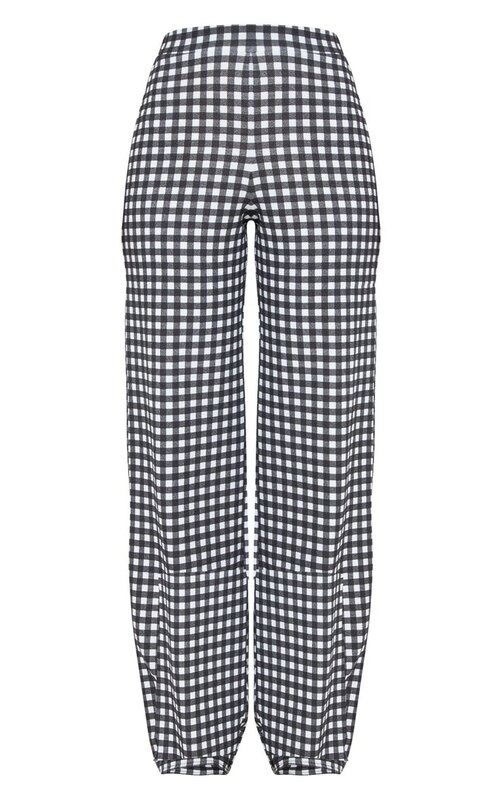 Add some monochrome prints to your look with these pants. 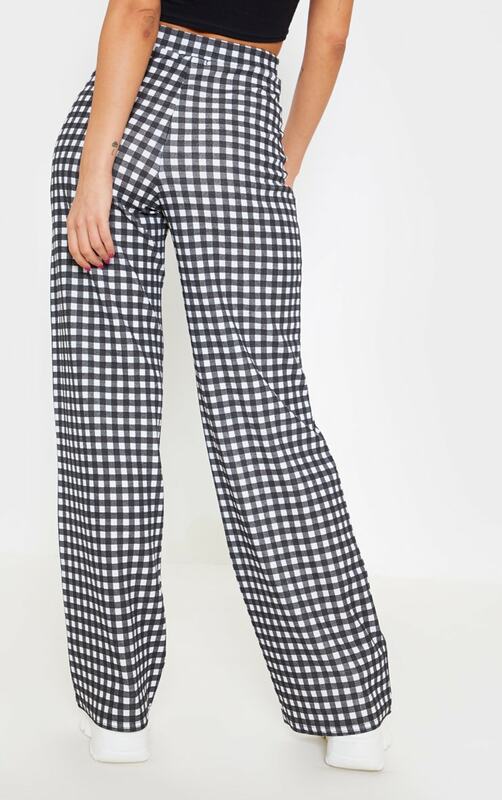 Featuring a gingham fabric, elasticated waistband and a wide-leg fit. 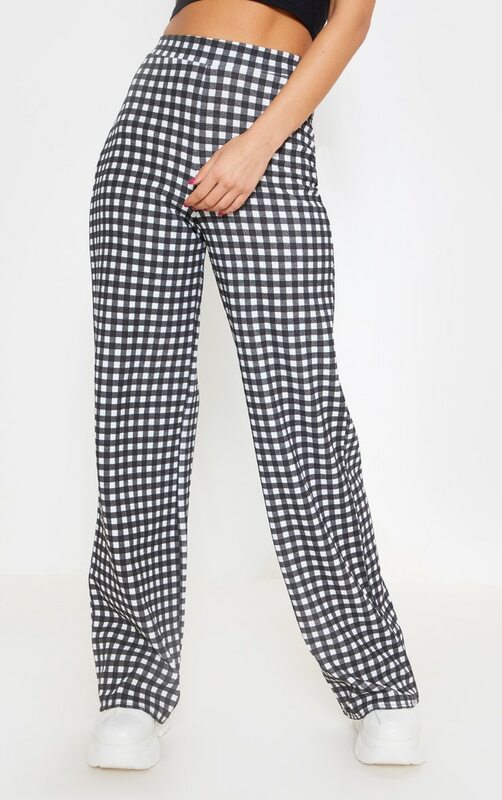 Team this with the matching blazer, strappy heels and a crop top for a look we are loving.